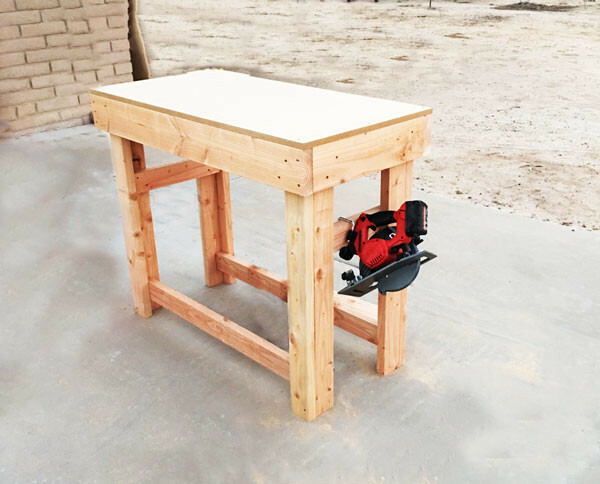 I built this small workbench for my garage. I have a limited space so that is why I made a narrow workbench. I made a few modifications to the plans. I added hooks on the sides of the bench to stack my tools. I will also add casters to the bottom of the legs to move it easily in my garage.